Janet Dawson was born in Sydney and moved with her family to Melbourne at the age of six. As a child she attended Saturday drawing classes run by J Septimus Power, and in 1952 enrolled at the National Gallery School, Melbourne to study under William Dargie and Alan Sumner. She also attended night classes in lithography at Swinburne Technical College with Robert Grieve. In 1956 she won the National Gallery of Victoria Travelling scholarship and left for London to study painting and lithography under Ceri Richards at the Slade School, 1957-58 and etching under Anthony Gross at the Central School. She won first prize for lithography at the Slade in 1959 and with the scholarship money travelled to Italy. In 1960 she worked as a proof printer in Paris at the Atelier Patris, where she also made her own lithographs. She returned to Melbourne in 1961 before moving to NSW five years later. While in Melbourne she established and ran an art school and lithographic workshop at Gallery A in 1963, where she printed for Russell Drysdale, Albert Tucker, Donald Friend, Charles Blackman and others, and portfolios for the National Gallery Society of Victoria, assisted by Robin Wallace-Crabbe. She also made her own stencil prints. She moved the Gallery A print workshop to Mary Place at Paddington, Sydney in 1966 where she printed work for Blackman and Drysdale; the studio was taken over by her assistant Robert Brown, until it closed in 1969. Janet Dawson now lives and works in rural Binalong near Canberra. 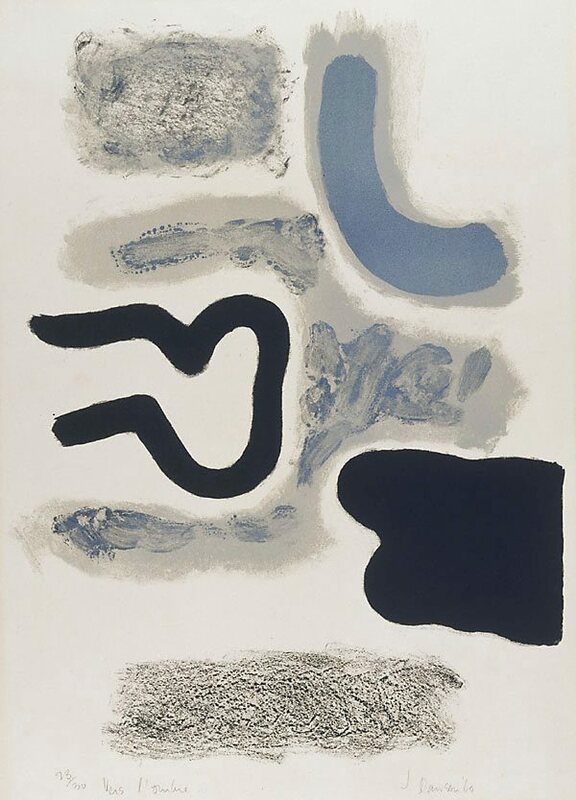 'Vers l'ombre' was included in the nationally touring 'Australian print survey' AGNSW 1963-64 (19). It was printed in Paris from three stones. Signed and dated l.r., pencil "J Dawson '60".